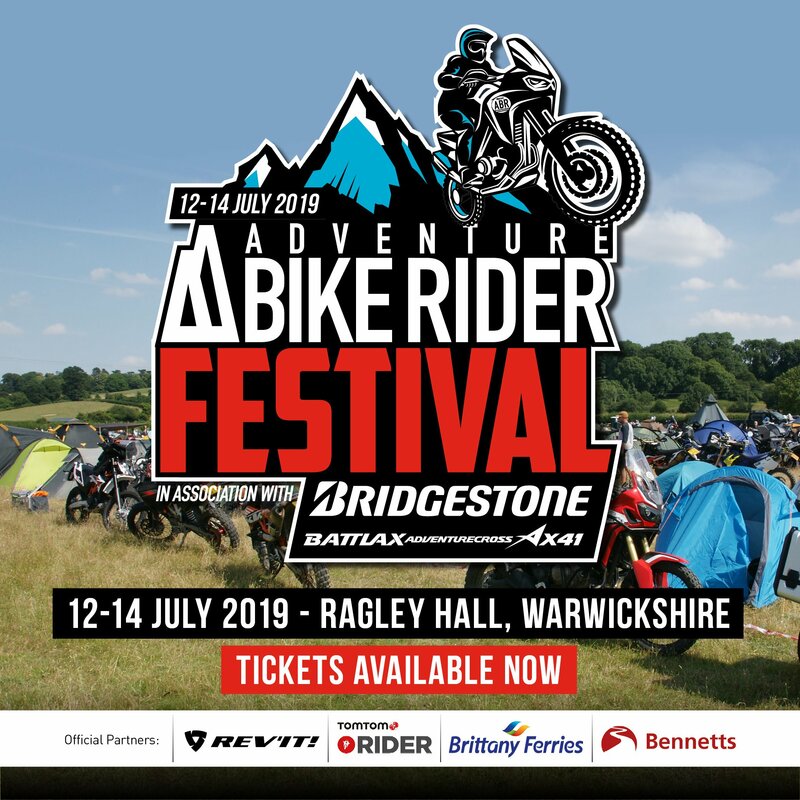 As I sat down to write this regular update on the Honda CRF 1000L Africa Twin the thought occurred to me that it was almost 12 months to the day that the email invite to the launch dropped into my inbox. The location for the launch was South Africa and the date meant that I would have to up sticks mid-way through Motorcycle Live and depart a cold NEC in November for the warmth of a southern hemisphere summer. My colleagues were delighted for me. 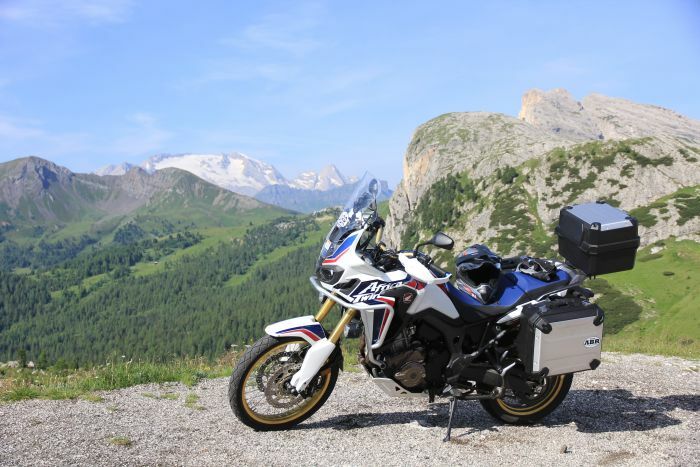 So, it’s one year on and I’ve a full season of running a DCT version of the new Africa Twin behind me. Have my views changed or is this bike everything I said and thought it would be at the grand unveiling? Best check what I reported. 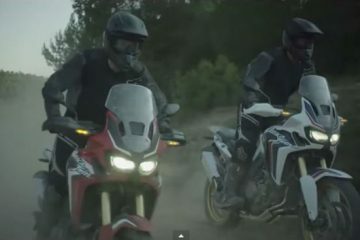 The launch itself was a spectacular and enjoyable event where Honda were not shy about encouraging the assembled reviewers to test the bike on gravel tracks, sandy trails and rocky African plains. 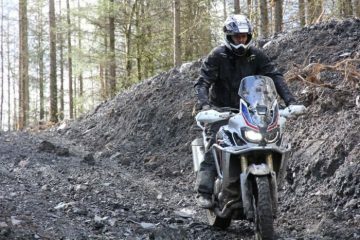 I mention this as it’s far more common for the off-road section of an adventure bike launch to be limited in time and the type of terrain. Generally speaking, a short stretch of graded gravel with a suggestive photographic backdrop is the done thing. It said a lot about the bike and the confidence Honda had placed in it to break with this tradition. It was fully appreciated by all. Similarly there was a feel good factor on the tarmac. 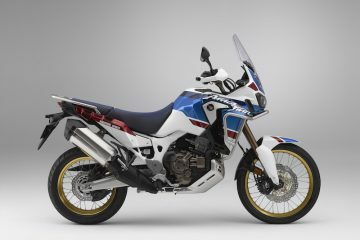 With a 1000cc parallel twin pumping out 98bhp the new Africa Twin was never going to be the sportiest of adventure bikes. The performance felt more akin to the current crop of 800cc machines rather than one that was going to compete with the 1000cc plus brigade. There was nothing like the bottom end catapult effect of the BMW GS1200 nor the arm ripping higher rev thrill of the KTM 1190. The power was delivered in a smooth, non-threatening linear fashion right through the rev range. Nevertheless, cruising at autobahn speeds was a no stress experience. In the short space of time we had in South Africa I’d reported that fast paced cruising stability was good, the seat was comfy and the small front screen was so effective that buffeting and wind noise were not distractions. The spectacular Bainskloof Pass was chosen as the alpine testing ground and where the limitations of the DCT automatic clutch were exposed. I’ve been a fan of Honda’s DCT since first riding the Crosstourer a few years back. In essence it turns a motorcycle into a twist and go scooter, where the bike makes all the gear selection decisions and you concentrate on the ride. However, issues can arise when you engage warp speed on twisty alpine roads like the Bainskloof Pass where you quickly establish if the DCT algorithm works in tandem with your style of riding. More often than not I found myself entering corners at overrun speeds that pushed my comfort level to the limit. The DCT would also change up at inconvenient points when I would have held onto the revs. Fortunately, it was easy enough to override the system by self selecting gears through paddles on the left hand grip or engaging manual mode and to be accurate this was only a problem when the bike (and the rider) was being pushed to the limit. In my original review I favoured the DCT over the manual. 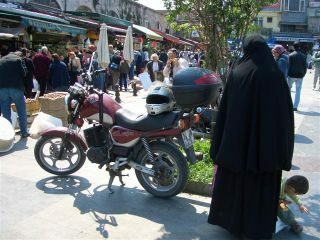 If I had any reservations then it had to do with accommodating a pillion, I concluded that if a pillion was to be a regular occurrence then this would be the one issue that may make me look elsewhere. In short I thought the Africa Twin a fantastic all rounder. Fast forward almost a year and it’s comforting to look at my notes from a recent 2,500 mile trip over to the Alps and compare them to my original findings. 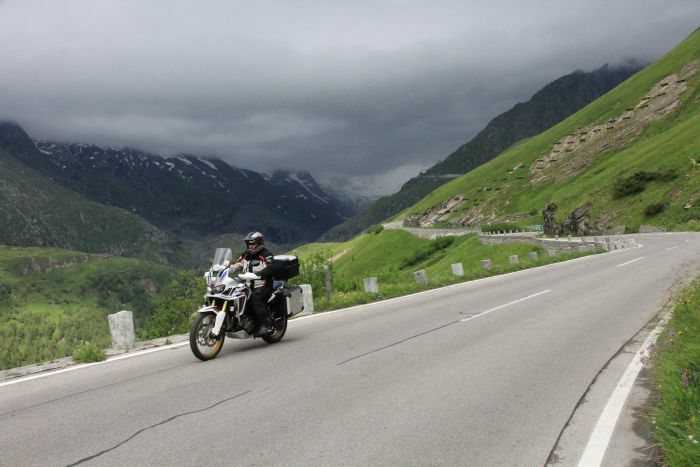 The trip involved (too much) high speed motorway cruising, extended time on sweeping fast paced A roads, over a dozen Alpine passes, multiple high altitude off-road trails and the occasional big city tour. The bike was fully loaded at all times. The plan was to ship the bikes out to Geneva with Bike Shuttle and fly out a few days later. This, we assumed, would give us a couple more days in the Alps and cut out the more monotonous French motorways. As it happened, Gareth Bale and co. had other plans for us. When Wales unexpectedly beat Belgium to reach the Semi Finals of the European Cup it meant a clash with Portugal in Lyon, a city within two hours driving distance of Geneva. With Wales not having reached a major final in my lifetime the opportunity to ride down to the Lyon and grab a few spare tickets was, er, a once in a lifetime event. As it happened; we got tickets, went to the match and Wales were knocked out. The silver lining to the disappointing result was that we were able to revert to Alpine plan A rather than be tempted by a detour to Paris and a final. 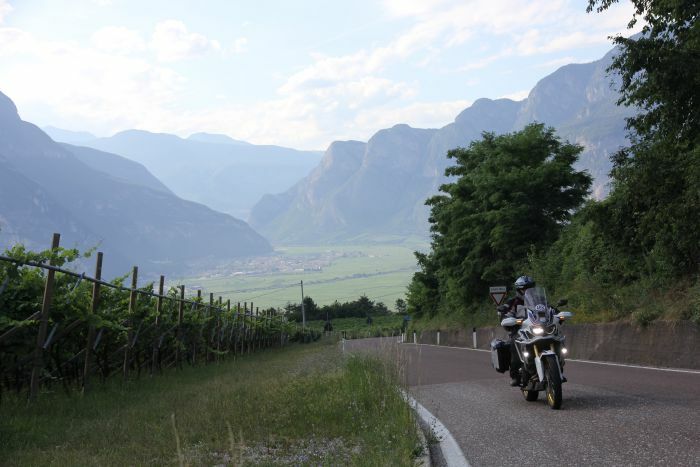 Our route took us through the French and Swiss Alps before crossing over to Italy and onto the Dolomites. 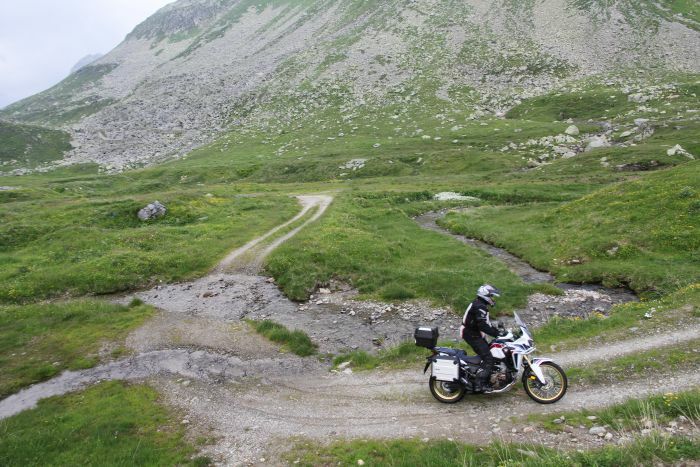 Whilst in the Dolomites we discovered some superb off-road passes (featured in the last issue of ABR) where the DCT Africa Twin was in its element. Don’t let anyone tell you the DCT is no good for off-road use, it is. Period. 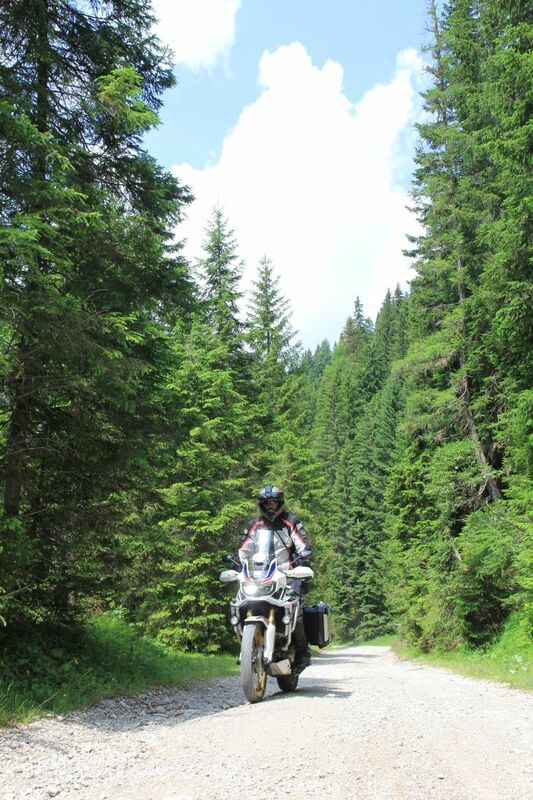 From the Dolomites we crossed into Slovenia, Austria and then Germany where the Honda got a full run out on the autobahns. All in all the route was like an extended version of the original launch in South Africa. 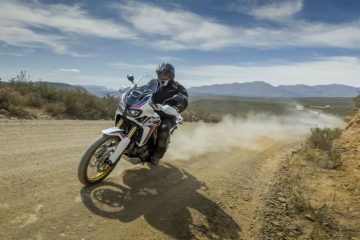 When comparing my notes it could not be clearer, the similarity between what I wrote back then to what I was experiencing on that big European trip confirmed that the Africa Twin was the bike I thought it to be in South Africa, it really is an excellent all rounder. With the exception of a flat battery – after three weeks of non-use whilst on the family hols – I’ve not experienced a single problem during the past year. 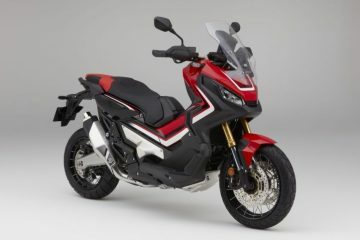 There have been reports on the ABR forum where some owners have experienced quality issues with spokes and switchgear components, but other than that the AT appears to possess the reliability we’ve come to expect from Honda. Here’s hoping I get to keep it for a second year.